Well, a whole bunch of sci-fi cosmic wheels are in motion behind the scenes in the world of Galaxxor business, and I thought it was probably a good idea to do some sort of an update as to what all of that spinning will be resulting in. First of all, NYCC was a smashing success! The Galaxxor 010 came out magnificently, thanks to a stunning new head sculpt by Matt Doughty (I think that Doughty guy might have a really promising future in toy design!). The Infernicuses(?) 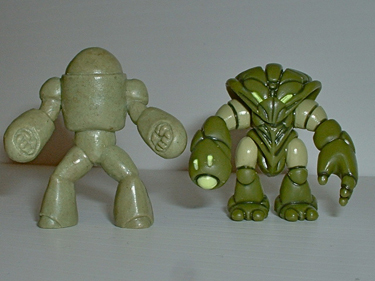 and 010's all have found their way to their new homes and the Galaxxor Online Store is currently all sold out. The generosity and hospitality of the Onell/Rawshark gang at NYCC was something that will truly inspire me and motivate me for years to come. The comradery was beyond incredible at that booth. I had the pleasure of spending time with so many fiends and heroes at NYCC that I couldn't even begin to list them all. Speaking of comradery, The Godbeast and I had some time to have a few beers and chat about the future. 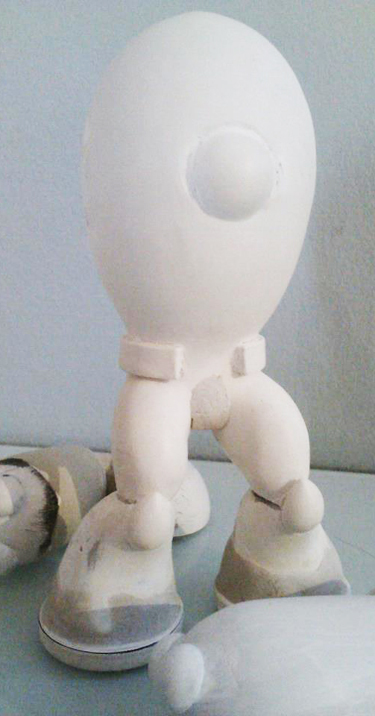 Out of those talks came the idea to produce a 2" scale Galaxxor mini figure. So, TGB has gone ahead and sculpted the iconic Monster Hunter Robo in mini figure style and will be the main avenue through which to purchase said mini figures. I do plan to have an exclusive colorway or two over in my shop as well, though. Plan on these little beasts to start dropping by late Novemberish. This is all very exciting, beacuse it's sort of the first officially licensed piece of Galaxxor merchandise. Keep your eyes peeled for lunch boxes, t shirts and massage oils! 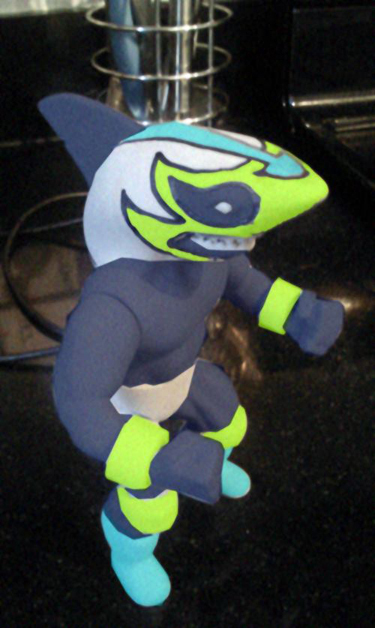 About the same time, you should see my first figure from The Lucha Sharks, El Tiberon! TGB and I decided to go with articulation at the shoulders and a sculpted on luchador mask. The molds are being made and the initial prototype of El Tiberon should be popping up soon after that. I plan to handle Lucha sharks a bit differently, in the sense that I'm going to open up 10 preorder slots and then produce that edition once those slots are filled. This should hopefully allow more collectors a chance to get their hands on my figures. If that works out well, I plan to extend that preorder method to all of my future figures. 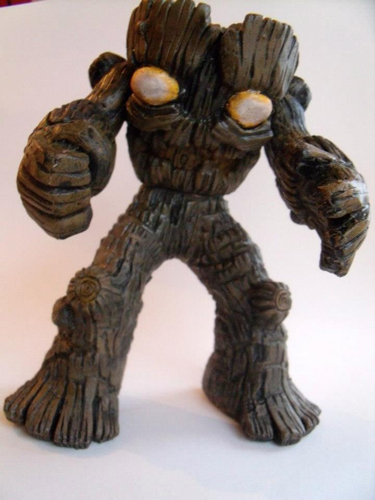 I was lucky enough to be able to lend a tiny bit of help with the design of my friend Lee(of BigMan Toys fame)'s awesome Treegar figure. I can't believe how cool that thing came out! Well, I'm also very proud to announce that I'm going to have the pleasure of releasing my own run of Treegar: Psychedlic Nightmare Edition! It's going to be highly tripped out. Stay tuned! I'm also really happy to report that sculpting has kicked back into high gear on Xenotron. All that I'm really doing is refining some curves and cleaning up some shapes. However, approaching the figure from a fresh angle has really reignited my enthusiasm for the design. I think that I was mistakenly looking at it as a companion piece to Galaxxor in the past when, in actuallity, it's an evolution in the design aesthetic. 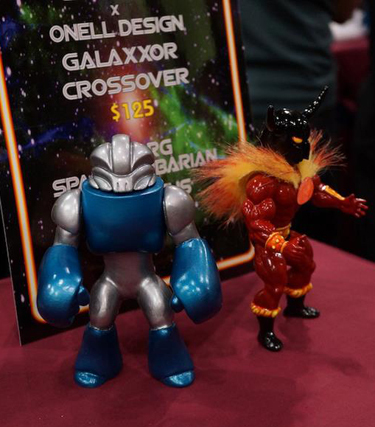 In many ways, I'm getting the feeling that Xenotron is simplifying some facets of the Galaxxor look, while simultaneously pushing the boundaries of other concepts. I also decided that he needed a slightly bigger "package". Finally, it's time to start looking forward to C2E2. I'm in the process of assembling a team of artists working in the 5.5"-style format for a set of exclusives that will put this scene on the map.